Have you already decided what costume idea you will put on for the next Halloween party? Why not a robot! Show up at this year’s Halloween party in one of our robot costumes. 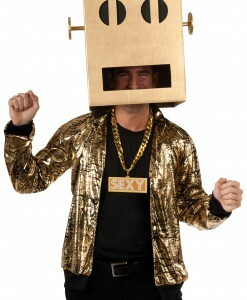 Just get ready to bust a move when you appear on the dance floor and start grooving The Robot! 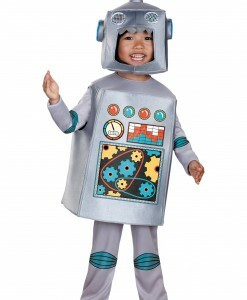 Here you will find an extensive selection of robot costume ideas for Halloween. 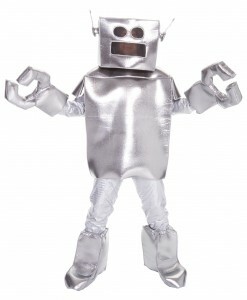 Our metallic-like robot costumes are nostalgically inspired by toys of every boy’s childhood. These costumes come with silvery robotic jumpsuits, soft helmet headpieces, and belts. These classic robot outfits capture all the retro style of iconic robots from the stories and screen. Has your little one ever tried to talk like a robot, walk like a robot, and look like a robot? If so, then he can make it all while wearing one of our cute retro robot costumes. All you need is to take some digital pictures of him to treasure the memories. What about becoming Rosco the Robot? This robot is definitely programmed to steal your little one’s heart! According to statistics, he never fails. 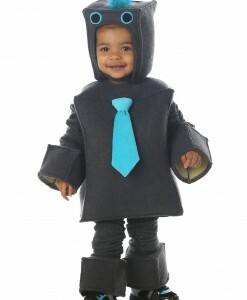 Roscoe the Robot costume ideas for toddlers come with gray body suits, hoods, chubbies, and arm warmers, creating the sweetest 21st-century invention! 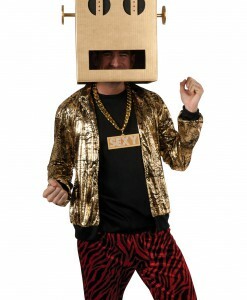 How about getting one of our shuffle robot costumes for yourself? Feel the love and light up the next Halloween party when you complete your robot costume with one of our officially licensed shuffle bot headpieces mask! Not everyone gets excited about dressing up like scary creatures for Halloween: vampires, zombies, monsters, mummies, and others. Some people just look for a different. Our high-quality robot costumes for Halloween are the perfect choice for those who want to participate but are not going to go for scary outfits. Our online store is the perfect place where all your costume and accessory needs are covered with free delivery anywhere in the UK, USA, and Canada. For more Video Game & Toy Costume Ideas, browse our extensive selections of Sock Monkey Costumes and Angry Birds Costumes, where you will find a wide variety of high-quality costumes to wear for the next Halloween party!